We quantify beauty in many different ways. Sometimes we need a bit of convincing, while other times it hits us straight away with no convincing. As you can see with this 1969 AMC AMX, it instantly grabs your attention, no debate, no convincing, just an incredible looking ride. Imagine driving this away from the showroom back in the day. That’s one proud owner. Now, over to its present owner to tell you more about this beauty……. 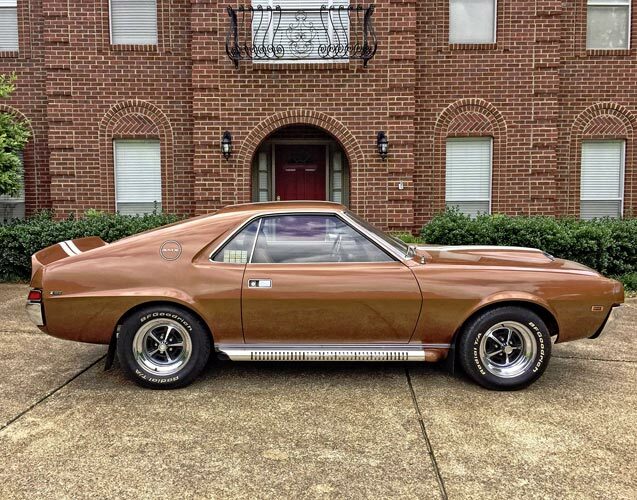 Related ItemsOne Of The Best 1969 AMC AMX 390s Around By James Michael Moneypenny.